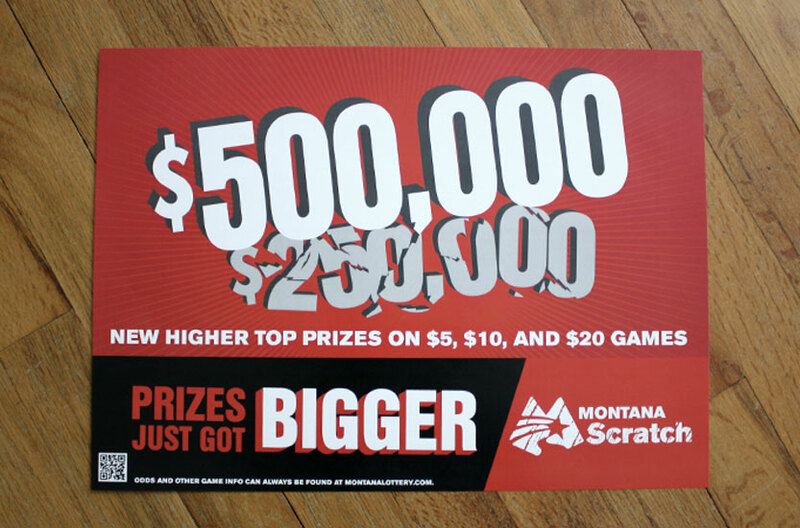 Montana Scratch's new, bigger prizes literally crushed the old top prizes. This poster was designed for display in Lottery retailers throughout Montana. Contact us for a quote, or if you just have some questions.